Rectify may be ending, but what about a spin-off? Recently, creator Ray McKinnon discussed the final season of the SundanceTV series, Variety reports. The drama centers on Daniel Holden (Aden Young), a man who returns to his hometown after spending 19 years on Death Row. The cast also includes Abigail Spencer, Adelaide Clemens, Clayne Crawford, Bruce McKinnon, J. Smith-Cameron, Jake Austin Walker, and Luke Kirby. The final season of Rectify begins tonight, October 26th, at 10 p.m. ET/PT. What do you think? Do you watch Rectify? What do you hope happens in the final season? 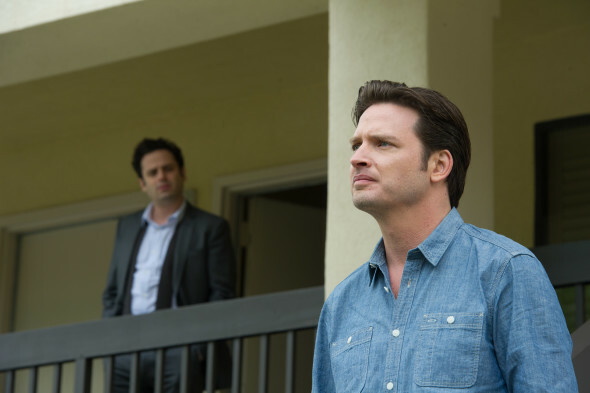 More about: Rectify, Rectify: canceled or renewed?, SundanceTV TV shows: canceled or renewed? I loved Rectify. Few shows can grab my heart and squeeze until I can barely breath, but this one did. I think it ended beautifully, and I am eager to see what Ray McKinnon has on tap, but please, no more prison. Prison shows just increase my feeling of hopelessness as I witness the predators preying on the victims, and those who stand up to the predators getting hammered down by the system. My sense of moral outrage cannot stand such a sustained battering. Oz was enough.